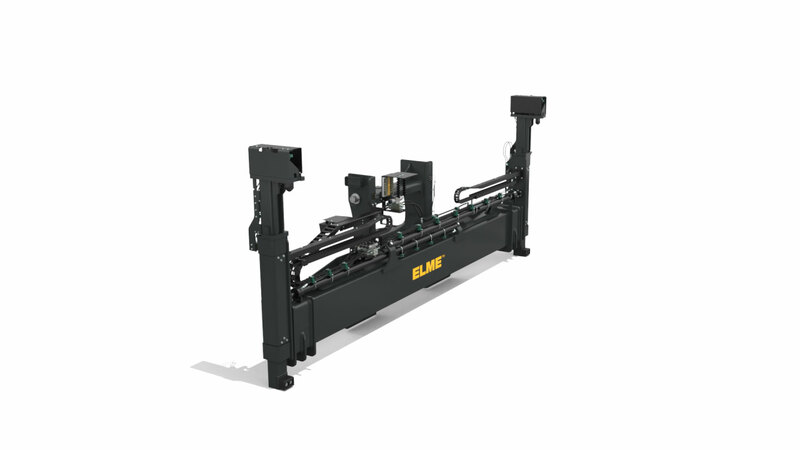 The ELME Spreader Model 588TB INNOVATION is the New Generation telescopic side lift spreader with vertical twistlocks for the handling of single empty ISO and Binnencontainers. 588TB INNOVATION is designed to be integrated in the mast of a forklift truck. The spreader can handle 20 and 40ft ISO and Binnencontainers and also one 45ft container in the 40ft’s position. Mechanical pile slope (MPS) in 588TB INNOVATION are vertical floating end-posts, including the bottom support. Floating end-posts simplifies picking up containers in a slanted angle. • 588TB INNOVATION’s width is adapted to the dimensions of the container, which means that all containers can be fully blockstacked and still remain accessible. • ISO containers and Binnencontainers can be picked up without any modifications to the spreader.